From HearthSong this large hammock C-stand has been designed to hang a HugglePod wherever you wish. 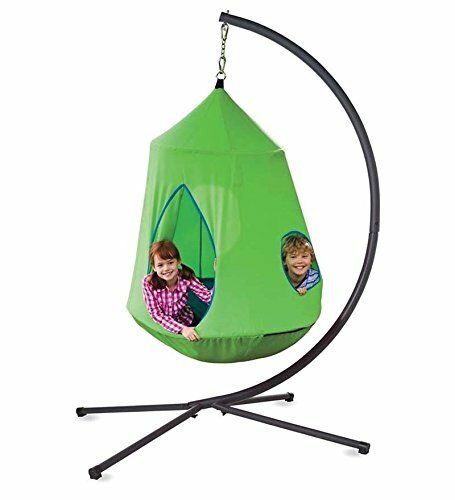 Due to its large size, this HugglePod stand isn’t just good for use with HugglePods, it is also suitable for hanging hammock chairs too! 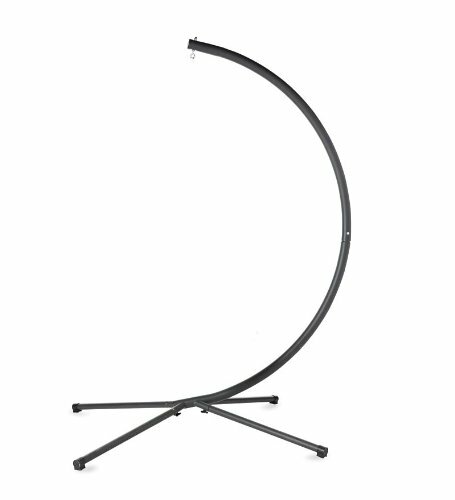 This large hammock C stand is very easy to assemble and can be snap locked together in a matter of minutes. The black powder coated steel hammock stand comes complete with two C hooks and a 16 inch chain. 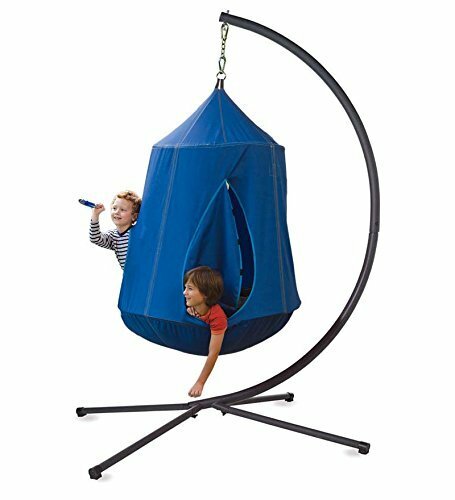 This extra large hanging chair C-stand measures 94 inches in height and has a 50 inch diameter ensuring it is large enough for a range of hanging chairs and HugglePods. This stand can also be bought with a Hearthsong Huggle Pod included in either a blue or green variation. You may also wish to take a look at Huggle Pods from other companies that will also fit this stand and can be bought separately here. Overall buyer reviews of this HugglePod stand have been very positive with the majority stating how large and sturdy the hanging stand is. If you have a HugglePod to hang this 94 inch hanging C stand is certainly one of the best available and is highly recommended by buyers. You can take a look at some of the reviews for this HugglePod hanging stand in the next tab!